My little leprechaun set a trap last night, hoping to catch his sneaky little friend. 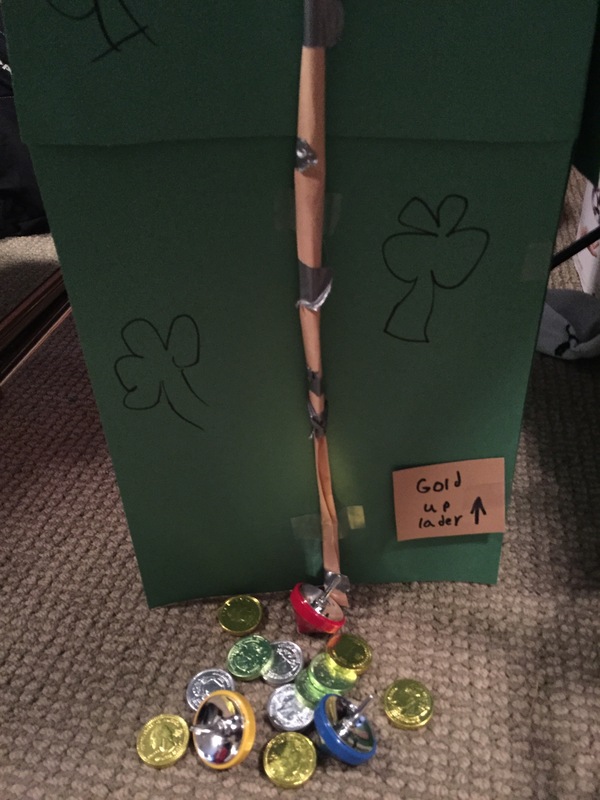 He placed a gold coin inside to lure him in, but this year the leprechaun wasn’t fooled and never attempted to go in. He just left shiny foil wrapped chocolate coins outside the ladder and left fun toys. 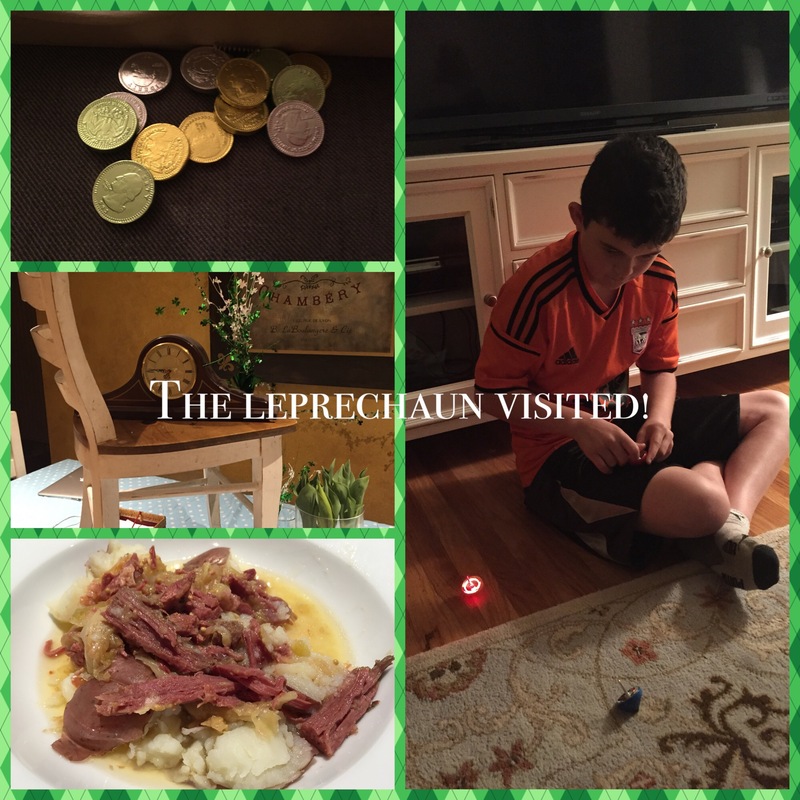 The leprechaun also made quite a mess of our house, turning the cushions on their sides, placing chairs on the table and bananas on top of the glass cabinets. He barricaded Charlie’s room and had Charlie up by 6 am to let us know that he was no longer at our house. I love his spirit and excitement for the holidays. He brought his leprechaun hat and clover necklace to school today and wore a green shirt. I love this almost middle schooler, and just really admire his enthusiasm and way of celebrating life. I made the traditional corned beef and cabbage and boiled potatoes that I make once every year on this date. Jeff and I shared a stout beer and celebrated a quick family dinner before going on with our nightly duties. Wishing you the luck of the Irish and may all your dreams come true.